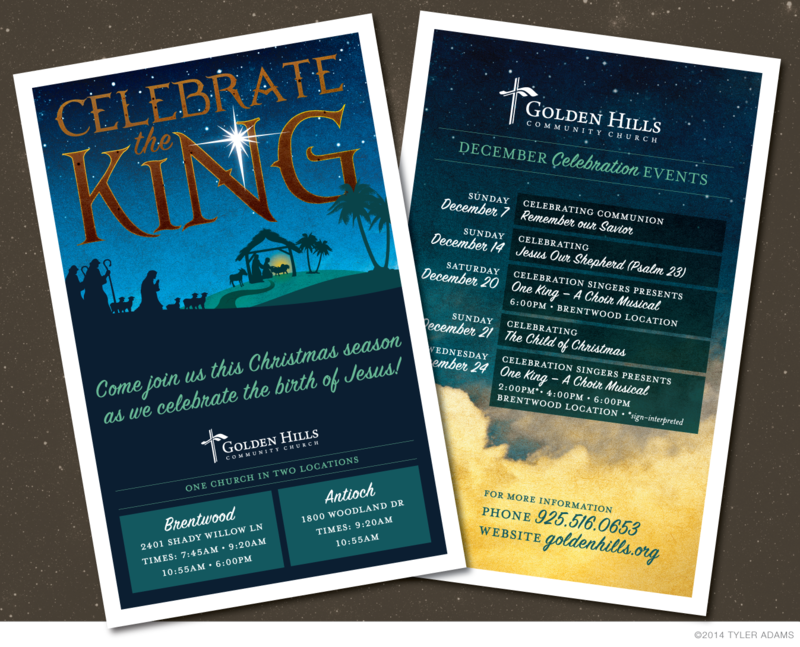 I designed these postcards for GHCC to advertise the events for this Christmas season. 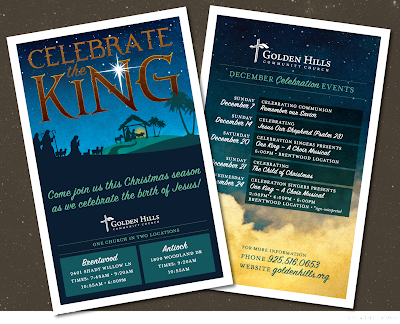 The topics for each Sunday as well as all the info for the annual Christmas musical are all on one nice card for display on the fridge or bulletin board. These also make great invites for friends and relatives. I wanted the cards to have a very classic Christmas feel but without traditional reds and greens. I went with blues and tans and let the imagery communicate Christmas.